1. Every so often one has the opportunity to do something to benefit the cause of science and, by direct extension, poke the Pope in the eye. Galileo had his lenses, Newton had his apple, Einstein had his tram and now Jose has his stupid little Web survey. Okay, Jose admits that it is not, strictly speaking, his Web survey. It belongs to a friend, mentor, and fellow Red Sox fan, who has made the terrible, terrible mistake of pursuing a PhD in communications. Apparently the PhD program in fractions at the University of Washington was too difficult to get into. Still, even pseudoscience is a kind of science, just ask the President, and thus Jose supports it uncritically. So here is the deal. If you click on this link, you will get to answer a few basic questions about baseball. Once you have done that you will be directed to a sort of futures market for 2008 statistics. You get 10,000 hypothetical dollars (note: 9345 hypothetical Canadian dollars, 10,000,000,000,000,000,000,000,000,000,000,000,000 hypothetical Zimbabwe dollars ) that you can spend betting on 2008 statistics like the number of home runs Big Papi will hit or the numbers of herpetic lesions Derek Jeter will experience. What’s better still is that merely by participating, you will be entered to win two tickets to a Boston Red Sox game in 2008 and possibly the Nobel Prize in Communications. But that is really aside from the point. What matters here is that this is your opportunity to benefit science without having medical students cut into your body and mock your genitalia after you are dead. Did you ever think that just by making pretend wagers online you could help cure cancer, land a man on Mars or, if you are very lucky, inadvertently destroy the universe? That day has arrived, and Jose, for one, is glad that you are alive to see it. 2. The big news as the Red Sox return to the Eastern Time Zone is the hawk attack at Fenway Park. During a tour yesterday, a red-tailed hawk nesting at Fenway attacked a 13-year-old girl named, of all things, Alexa Rodriguez, drawing blood, but thankfully causing no serious injury. Now the temptation is to make the easy jokes based on the victim’s name, but that’s pretty tacky. Sure, you could run headlines like “Fenway Gives Rodriguez the Bird”, “For a Change A-Rod Gets Dropped,” “Color War: Red-Tail vs. Yellow-Belly,” or even “Ornithologists: Slapping not effective against hawks,” but that would be really, really silly. We all know that the similar name notwithstanding, this poor, brave kid has absolutely nothing to do with the Yankees third baseman. You can tell because if the hawk had attacked the actual Alex Rodriguez there would be five million Yankees fans criticizing the hawk for not removing its beak before hitting the slugger in the head. This left Jose confused today as to why Colon has not joined the team in Toronto. Canada is run by a “parliament” a name that not even Jose can stretch into a fat joke, so why would Colon be avoiding the trip? But then Jose figured it out. It’s not that Colon is avoiding Toronto, it’s that he desperately wants to spend time in Pawtucket. The comparison is not only ridiculous because these men of letters probably never screw up “its” and “it’s” but also because each of them has an in-depth knowledge of his subject that goes far beyond anything Jose can offer. Klosterman really knows a lot about heavy metal. Simmons is, strangely enough, the best NBA writer around. Hermann Melville knows so much about whales that he can apply phrenology to them. And Jose? Jose doesn’t know that much about anything. These guys are specialists. Sure, they can do shtick, they make their living connecting their subjects to seeming unrelated topics, but at the end of the day, each has real, specialized knowledge on one or more subjects. Jose does not. If these fellows are Josh Becketts, men who live on their fastball, yet can occasionally mix it up with a decent curve or change up, Jose is Daisuke Matsuzaka. Daisuke doesn’t have any pitch that is dominant, but he has about seven that are above average. Jose brings a similar approach to writing. Sure, Jose writes primarily about the Red Sox, but he’s not an expert. He can’t tell you about the prospects in Portland or compare the merits of two seam and four-seam fastballs. All he can do is contrast the two-seam fastball with the Paris Peace Accords with WrestleMania 2, with Suicide by Emile Durkheim. Could Jose give you great depth on any of those subjects? Not really. He can tell give you the overview of the Paris Accords and tell you that Suicide is about suicide, but he can’t write a book or even a good essay about either subject. Where Jose does his work is in comparing apples to oranges. He makes comparisons that are against the laws of God and man, and somehow finds coherence in them. What Daisuke did last night is not that different. Over his 6 2/3 of 1 run, 0 walk pitching, he succeeded on account of the very incoherence of his pitching approach. He was not a fastball pitcher, he was not a breaking ball pitcher. Rather, he was a guy who threw apples and oranges, pineapples and breadfruit, and he threw them all for strikes. For Daisuke, as for Jose, it is not his brilliance in any one facet of his endeavor that makes him effective. It is his mastery of contrast; it is the genius of demanding that round pegs fit into square holes. 2. In other news, new Yankees manager Joe Girardi ordered an ice cream freezer removed from the team’s clubhouse as part of a ban on junk food. 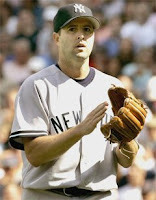 Why won't the Yankees honor my memory? 3. The Boston Globe, “The Amazing Shrinking Newspaper,” reported today that with a payroll of $133,440,037 the Boston Red Sox have fallen to fourth in the majors in this year. This puts them behind the Yankees at $209,081,579, the Tigers at $138,685,197 and the Mets at $138,293,378. This news comes as a shock to fans and pundits nationwide who have grown comfortable with the notion that the Red Sox have become “just like the Yankees.” To be honest, Jose feels bad for the folks who have become deeply invested in this narrative, so he thought he would give them a few talking points for how the Red Sox and the Yankees are exactly the same, while he waits to see that first column on how the Tigers are now nothing more than the Yankees. They are both baseball teams. The comparison was always flawed (note: read asinine). How could you argue the Red Sox were just like the Yankees, when the Bronx Bombers haven’t won a single World Series in the 21st century and the Red Sox aren’t owned by a convicted felon. See it’s just silly. Still, if you feel absolutely compelled to argue that they are the same, Jose supposes you could point out that neither team has a single Swedish national on its 25 man roster. 1. Whatever happens in tonight’s U.S. opener, can the Red Sox promise Jose something? Don’t blame anything on jet lag. Blaming failures on jet lag is a handy excuse, but a poor one. “I have cancer”—that’s an excuse. “I was struck by lighting”—that’s an excuse. But “I didn’t do well because I have jet lag, because I’m a little sleepy”—that’s no excuse at all. The fact of the matter is that in this day and age, where jet lag can be easily remedied through a combination of alcohol and the abuse of prescription drugs, no one should complain about it ever. The Red Sox also shouldn’t complain about parasites. First of all, how the hell did Kevin Brown and Jason Giambi get parasites in Japan? 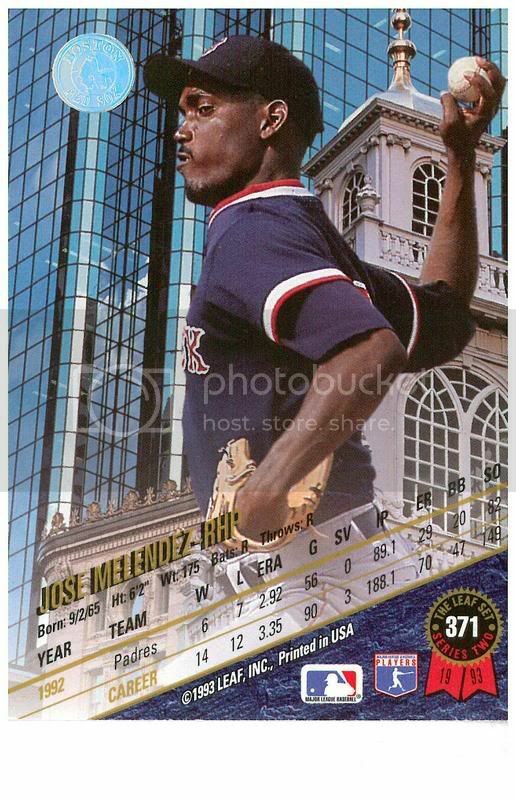 Are you seriously telling Jose that Brown never picked up a parasite in his hometown of Milledgeville, Georgia (note: Lastings Milledge, founder) but he got something in a country where taxi drivers where white gloves and have doilies on the seat backs? The only time Jose will allow anyone on the Red Sox team to blame a loss on a parasite is if Javier Lopez gives up a home run to a lefty. Noted prankster Dustin Pedroia replaces manager Terry Eurona’s Metamucil with the ashes of former manager/racist Pinky Higgins. Theo Epstein calls Josh Bard and tells him the Red Sox have reacquired him to catch Tim Wakefield. The joke ends poorly, as Bard throws himself from a bridge. Kevin Cash is announced as opening day backup catcher. Having accepted assignment to AAA, outfielder Bobby Kielty shows up to work at offices of AAA of New England. Theo Epstein calls Doug Mirabelli to tell him the Red Sox would like him back, when Mirabelli arrives, Theo turns out the lights and hides under his desk. Red Sox announce signing of Sidd Finch, not the mythical pitcher who could throw 168 mph, but an actual truck driver from Eau Claire Wisconsin. DJ Dru announces that he is ready to play tonight. No one is fooled. Dr. Charles Steinberg announces that Dodgers and Red Sox will play an exhibition game in a field that is only 200 feet down the left field line. Wait. That one’s real? Really? 3. One of the most heavily hyped matchups at WrestleMania XXIV was a battle between a 440 lb. behemoth called the Big Show and the 150 lb. welterweight boxing champion Floyd “Money” Mayweather. It was a mismatch of epic proportions. In a lot of ways, Jose sees this contest as a good analogy for tonight’s game between the Red Sox and the Oakland Athletics. The Red Sox are the giant, the monster, crushing everything in their path, and the Athletics are the munchkin, game and tough, but at a catastrophic disadvantage. Well, to be blunt. Yes. The A’s are going to win tonight provided that the analogy holds. This means that they will win if a) Joe Blanton is allowed to punch David Ortiz in the face with brass knuckles and b) the entire contest is scripted for the A’s to win. If brass knucks are allowed and the game is fixed, Jose has a hard time seeing the Sox pulling this one out.